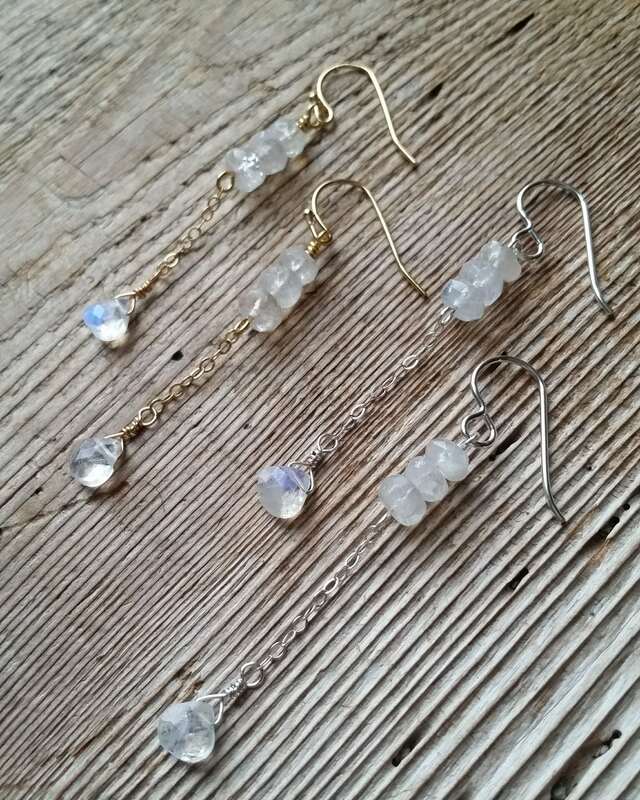 Gorgeous flashy moonstone rondelles lined up in a row, with a single moonstone briolette dangling at the end of the silver plated chain. 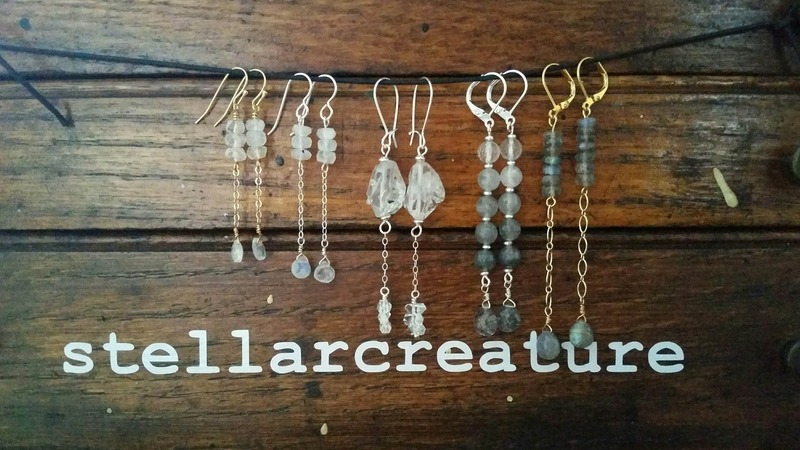 These hang on silver plated ear wires. They are very lightweight. Hanging a total of 2-1/8". Can be made shorter or longer, just send a message. 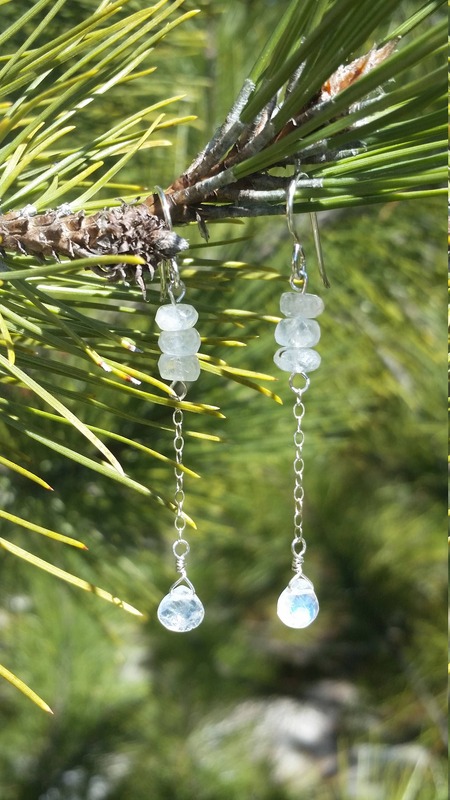 Moonstone helps you start over; it promotes inner growth and strength. It calms and stabilizes. It aids in inspiration and amplifies intuition. Also available in gold plated as shown in the second photo.